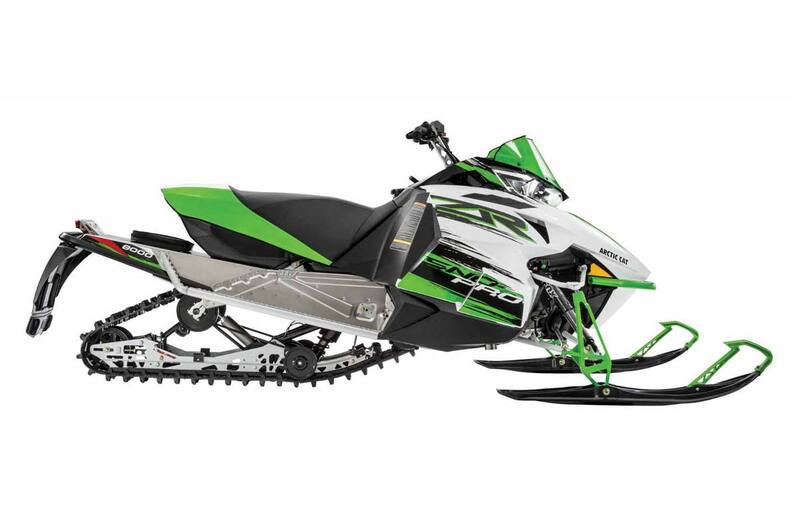 Arctic Race Front Suspension: Tall, lightweight ski spindles and widely spaced A-arms provide great torsion rigidity and strength. Angling the shock load back toward the rider's mass, results in optimal caster/camber to improve comfort and cornering. FOX FLOAT® 3 shocks and a sway bar provide excellent control and handling. 8000 2-Stroke Engine: 160-class HP makes it the most powerful 800 engine in the industry. It features a lightweight, quick-revving crankshaft, twin spark plugs per cylinder and weight-saving engine reverse technology. The engine knock sensor provides octane recognition, giving you more fuel options. Push-Button Engine Reverse: The push-button reverse is all about quick, easy activation. This feature reverses the direction of the engine rotation. In addition to being smooth it's also a weight savings.